If any animal ought to be able to expect a safely uneventful life, it’s the compact, guinea-pig-adjacent tuco-tuco. These South American rodents live in burrows underground, popping up into the dangerous above-ground just long enough to grab some veggies for dinner and then retreating again into their tunnels. Male tuco-tucos have the occasional reckless phase, during which they travel above-ground in search of tunnels inhabited not by familiar females but by attractively novel females; but aside from that, they stay underground. Perhaps it’s fitting, then, that the danger also came from underground, pushing through its own tunnels, burrowing upwards like a hungry tuco-tuco. Late on June 2nd, 2011, and continuing through June 3rd, in the area around the Puyehue-Cordón Caulle volcanic complex in Chile, more than one thousand earthquakes shivered the earth. They came more and more frequently, until by midday June 4th they were coming more than twice per minute, a near-constant shuddering. At 3:15pm a spot on the mountain exploded and sent a 5km-wide ash and gas plume into the sky. Choosing your mate is an important decision. If you are a species that cares for your offspring, you and your mate need to be able to coordinate your care, and you must be able to rely on your mate to pull their weight. (Watch the albatross cam to see how the mated albatrosses depend on each other—one stays back with the chick while the other flies off to get food. If the food-getter never came back, or the chick-minder wandered off, the chick would die.) More fundamentally, whether or not you care for your offspring, you and your mate must be able to have biologically healthy offspring together. But sometimes—very, very rarely—an error in mate choice, instead of being an evolutionary dead end, is the beginning of an entirely new lineage. Before I studied juncos in California, I studied House Wrens in New York. Most days in the spring and summer I biked from my basement apartment to my field site, which had the no-nonsense label Unit One. The bike ride was an adventure in itself: I prepped for the field season by relearning how to stay on a bike, which I hadn’t done since childhood. (Contrary to the popular saying, it appears I can forget how to ride a bike.) 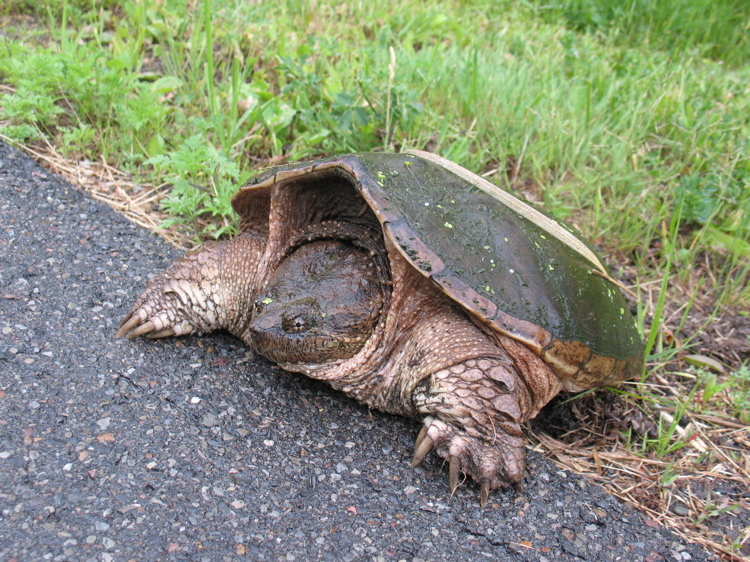 On my way to Unit One I often came upon large snapping turtles stumping deliberately across the road, on the turtle-slow prowl for places to lay their eggs. Unit One was primarily a field site for studying Tree Swallows. The front half of it was short grass broken up by regular rectangular ponds, over which the swallows stooped and swirled. House Wren territory lay past the manicured domain of the swallows, in forest dense with brush and mosquitoes. At the start of the field season I feared getting lost in it: the paths were overgrown, and I have a poor natural sense of direction. In scientific papers we are very strict about citing sources. Not only do we put a list of our references at the end of papers, but we also indicate which reference gave us which fact right there in the text: “junco fledglings have big fuzzy eyebrows (LaBarbera 2012).” This makes fact checking easy. Scientists writing for the general public don’t usually do this. Depending on the form of a science-for-a-general-audience column, references may all be at the end only, or they may not be there at all. When researchers write about their own research without any citations, saying “My research shows…” and “Many studies have found…” but not actually citing them, it’s up to you to either blindly believe them (don’t do this) or to check their sources yourself. If they do good research, this shouldn’t be hard. 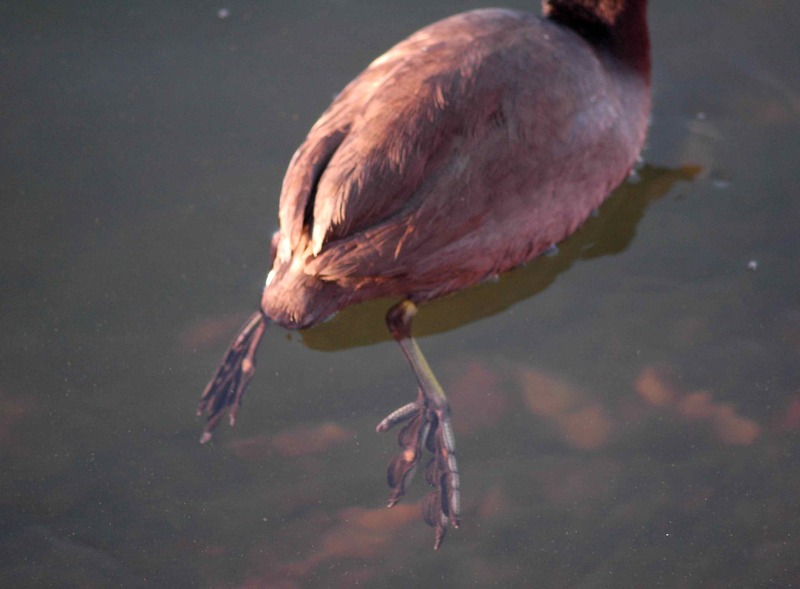 Sometimes a “research” column is like a coot: fine at first glance, but when you look close, really weird feet. There are a lot of scientific journals out there. There are the big shots (Science, Nature), the bird journals (The Auk, The Condor), the topic-specific (Behavioral Ecology), etc. And then there is The Journal of Experimental Biology, or JEB. I love JEB. It claims to be the journal for “comparative animal physiology” but that doesn’t cover the half of it. JEB is about crazy, wonderful strangeness—strange animals and strange scientific methods. Following are two characteristically odd JEB studies: snake eyes and how walking sticks walk. 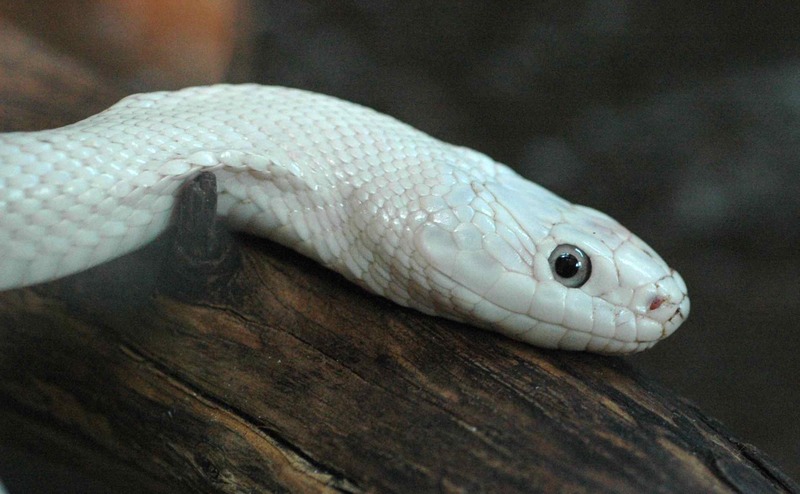 Leucistic (lacking pigment) black rat snake is looking at YOU. In the sciences we think a lot about how to recruit more [insert underrepresented group here]. There are a lot of challenges to this, such as that many people may not know that there are real paying jobs to be had studying animals/chemicals/theoretical physics, or that many entry-level research positions pay next to nothing so you have to have a certain level of financial security just to start out in the field. But even if you know the jobs exist, and even if you have figured out the finances somehow, you still have to have the confidence to go for it, and that can be difficult. It’s easy to think that you don’t know enough to start research, or that everyone else must know more than you do. So this is How I got into research: or, I promise you are not less qualified than I was, so just go for it. 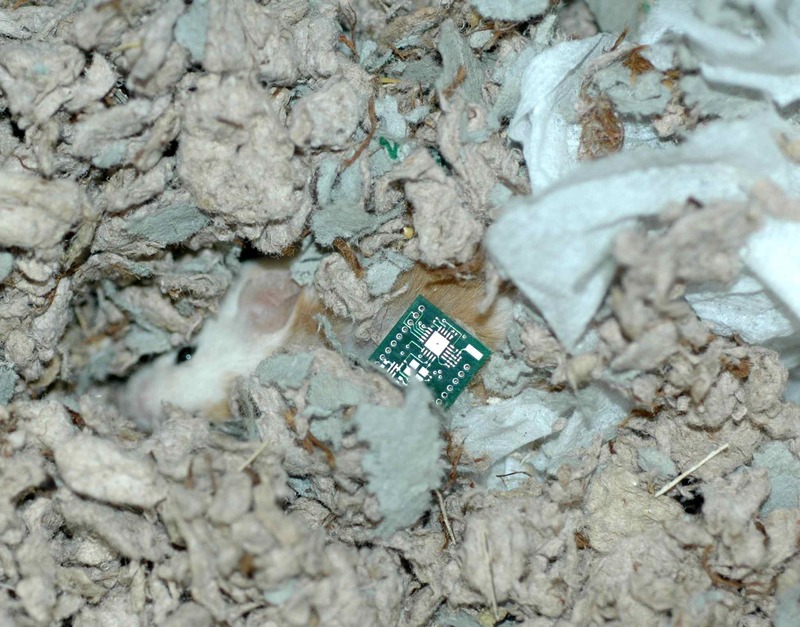 A few months ago, my labmates who study chipmunks enlisted the help of one of my pet mice to test-run a chipmunk-monitoring device that they are hoping to use in the field this summer. 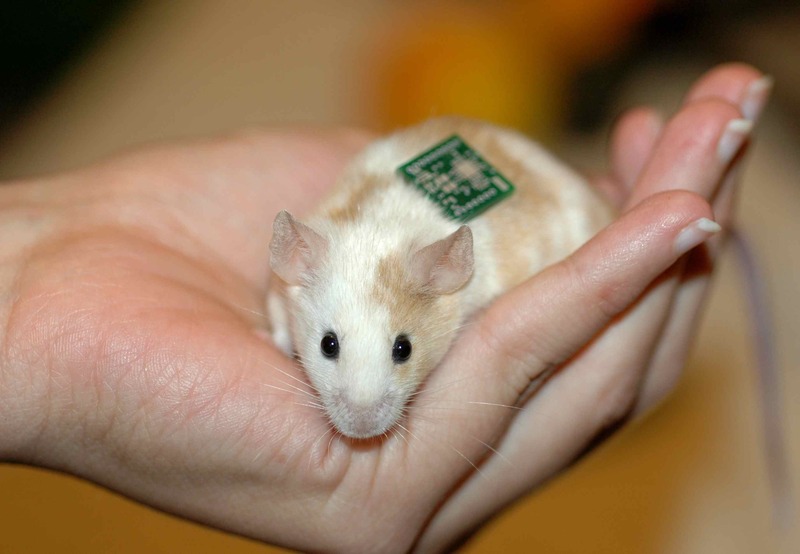 That went well, and now they’re calling on another one of my mice for a simpler test: to see how long the glue they’re planning to use will keep their device attached to rodent fur. 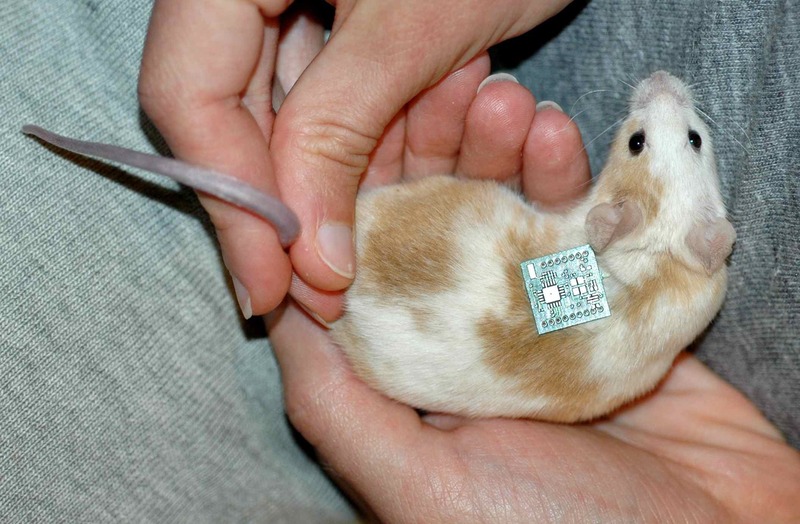 They want glue that will stay attached long enough for them to get good data, but not so long that the monitor becomes a permanent part of a chipmunk’s life. Since chipmunks spend a lot of time in burrows, we chose my most burrow-loving mouse, who likes to spend all of his time hiding underneath things. He was not pleased to be forced out into the open. So far he hasn’t seemed to care a bit about the chip. However, he is quite annoyed that I now dig him up daily to check whether it is still attached. He’s not really a people mouse.